By using forum theatre and role play Theatre TurnAround helps companies and organizations in Denmark and abroad grow by using a combination of actors’ tools and advanced consultancy methods. We also use elements and knowledge from dramaturgy, rhetoric, journalism and psychology. Philip Antonakakis founded Theatre TurnAround as a forum theatre in 2003. 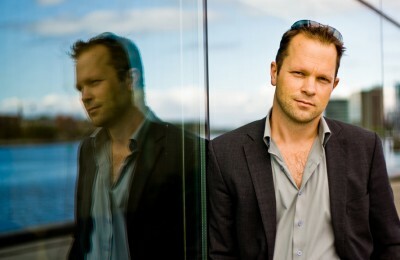 Trained as an actor in Aarhus, he has worked as a freelance actor in film, theatre and TV. He has had roles in Anna Phil, The Killing and Livvagterne. He holds a degree in Greek, Rhetoric and Theatre Science and is a certified NLP Sales practitioner and DiSC behaviour profile analysis practitioner. He has spent the last 12 years using his background as an actor to train and facilitate development processes.